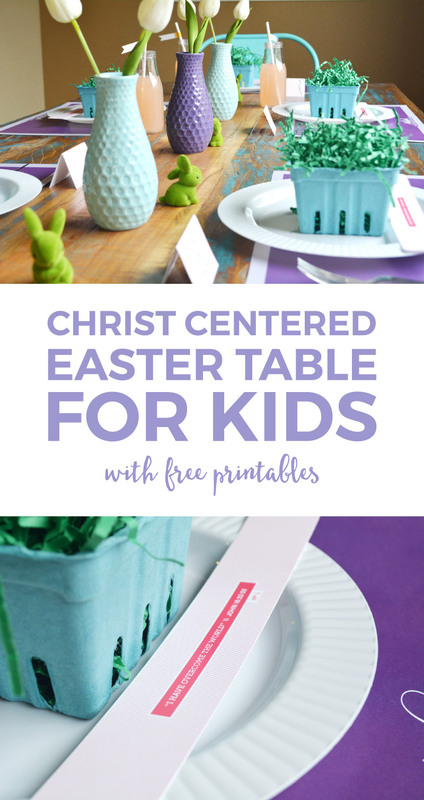 Inside: Keep Christ the center of the Easter season with this Christ centered Easter for kids table setting with free printables included. Can you believe Easter is almost here? I always think of Easter in April, but this year it’s a little early. 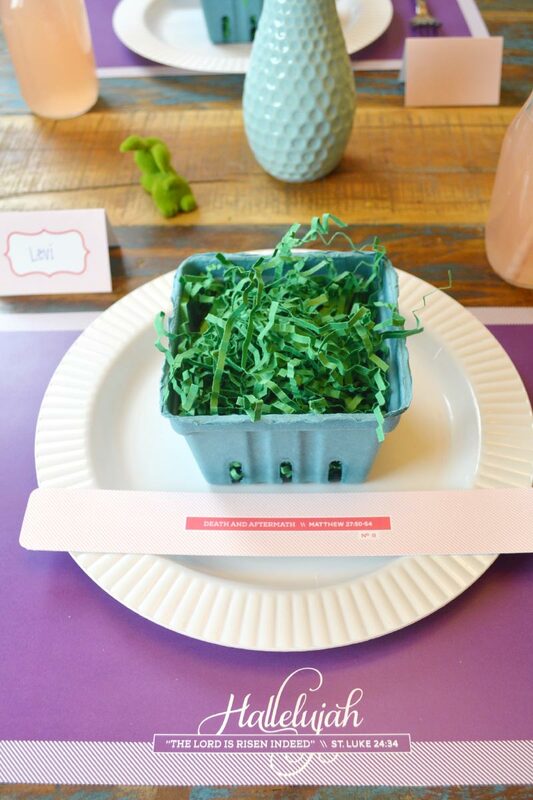 While Easter is one of my favorite holidays, I’m a little embarrassed to say that in the past I haven’t really put enough of an emphasis on the Easter holiday. Sure, we always did the typical “commercial” aspects; you know, the Easter egg hunts and the Easter basket, but besides that, the true meaning of Easter wasn’t emphasized nearly as much as it should have been. This year, I am resolved to change that. With my boys being so young, I decided now is the time to start a new tradition that will stay with our family through the years and put the proper emphasis on Christ. So what are we doing for Easter this year? Well, my friend, we will be having an Easter dinner. But not just any ole Easter dinner. We will be having an interactive Easter dinner that will share the biblical story of Jesus Christ’s sacrifice for us. 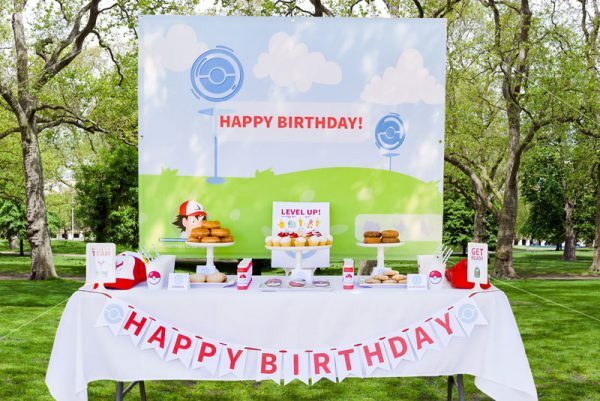 This brilliant idea did not come from me, but from Bettijo over at Paging Supermom. 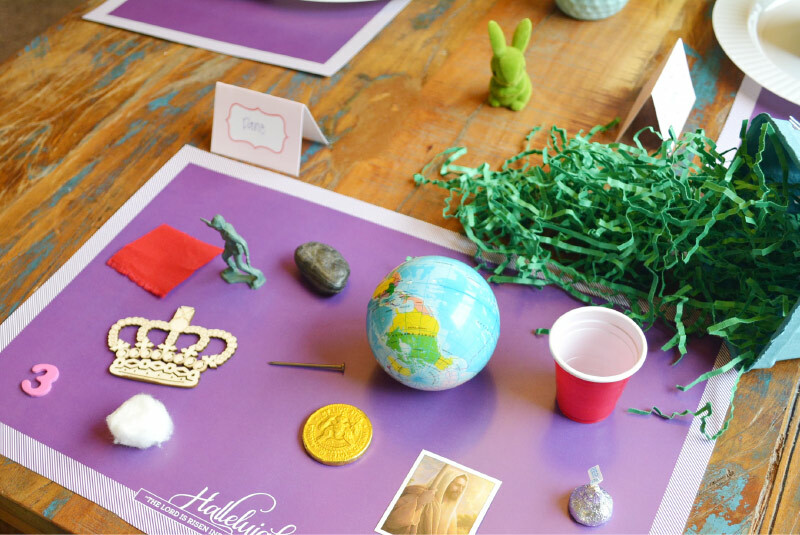 She has created a wonderful resource of free printables to adorn your Easter table and share the Easter story with your family. 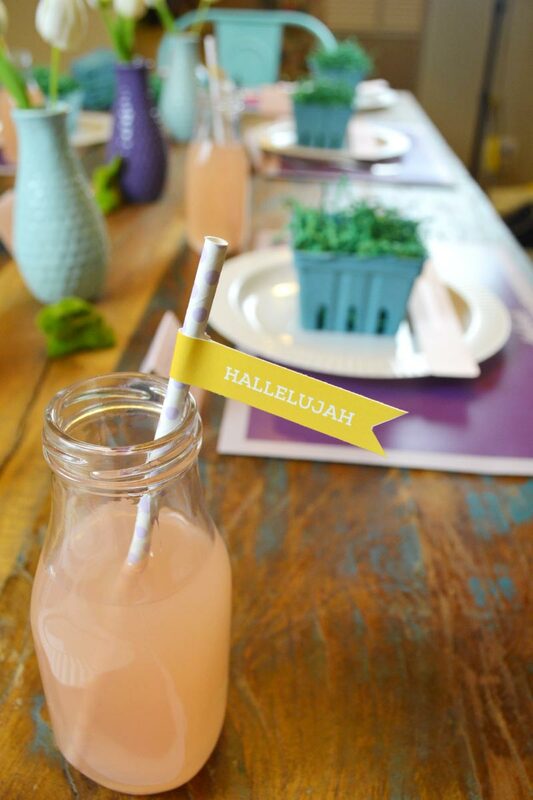 They’re seriously amazing and let me tell you, you need this for your Easter celebration too! I have to say that my favorite part of her printables are the scriptures that she has selected to tell the Easter story. I think it’s a brilliant way to take the time before Easter dinner to learn more about the sacrifice of our Savior. In order to make the scriptures a bit more interactive for my little kiddos, I expanded on her idea and created this kid-friendly Easter basket, complete with a meaningful (and interactive) way to tell the Easter story. 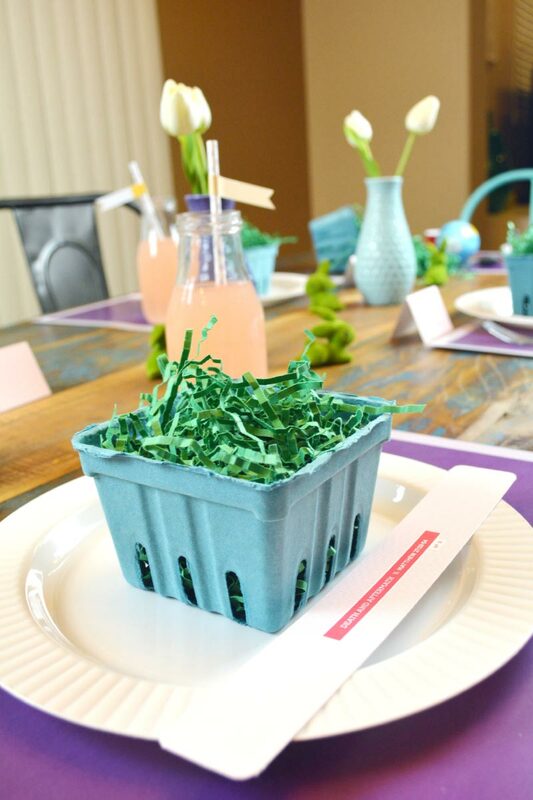 To help the kids keep focused on the story, I gathered 12 items that represent each one of the scriptures shared and placed them in a cute berry Easter basket. I plan to read the scripture first, then tell the kids which symbolic item they are looking for in their Easter basket. If you have older children then you could have them guess which item is the one that corresponds to the scripture. Once they’ve found it we will summarize the scripture again, in a more simplistic way, to help them better understand the Easter story. Then, once all the scriptures have been read we will have dinner. This post contains affiliate links to help better serve your needs. You can read my full disclosure here. 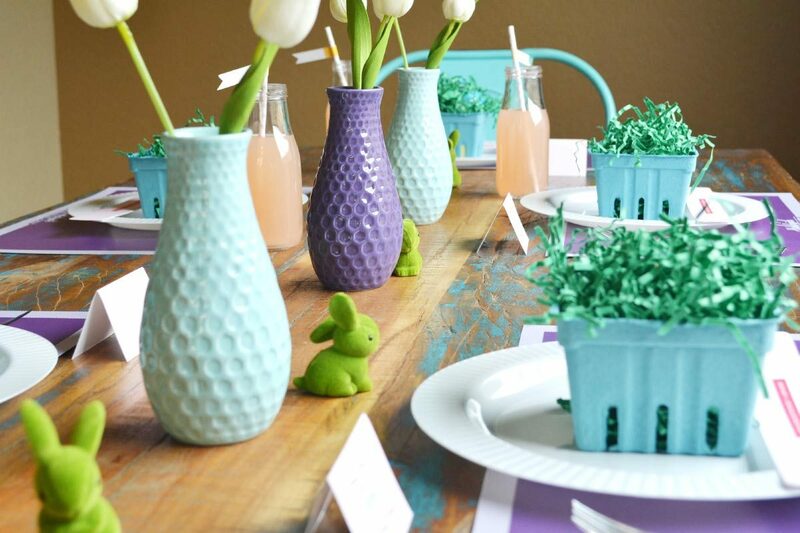 Read below for the supplies and decorations I used for the Easter table. I have to say that I am so excited about this new tradition! I know it will help us keep our kids (and ourselves) focused on Christ and the true meaning of Easter. 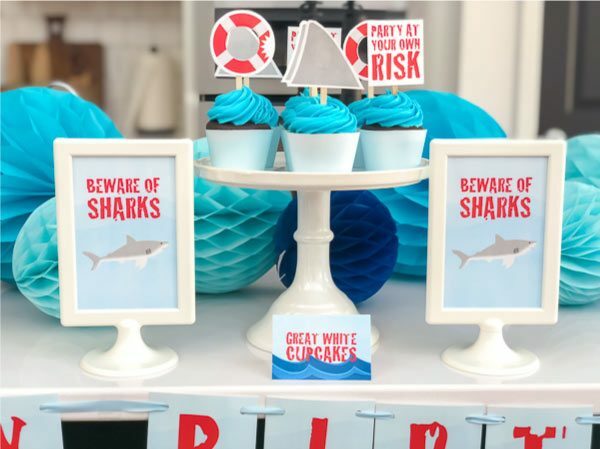 Thanks again to Bettijo from Paging Supermom for these inspiring printables. That looks amazing! Thanks for sharing, Kiwi! Oh thank you! 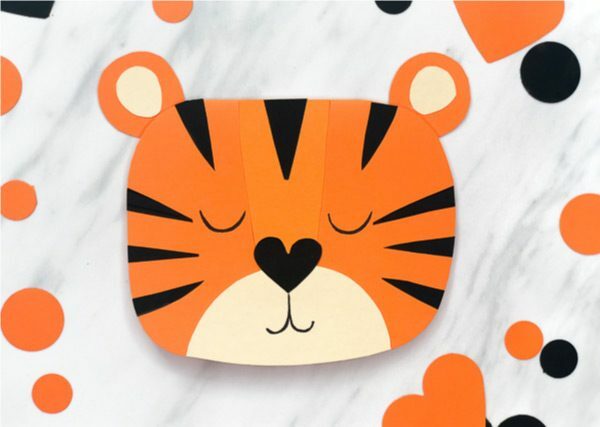 Bettijo sure made some gorgeous printables, didn’t she?! The scriptures are my favorite part of this kit, too. I love the symbols you put in the basket.